Welcome to the world of Rob Geleit. I'm afraid that gSort1400 for RISCOS has been withdrawn - it has now been ported tu Linux. Watch this space! What took four and a half minutes on my Iyonix now takes two and a half seconds under Ubuntu. If you want to see some design examples, click here. If you want to see some programming examples, click here. If you are after a copy of my CV, please contact me by email. 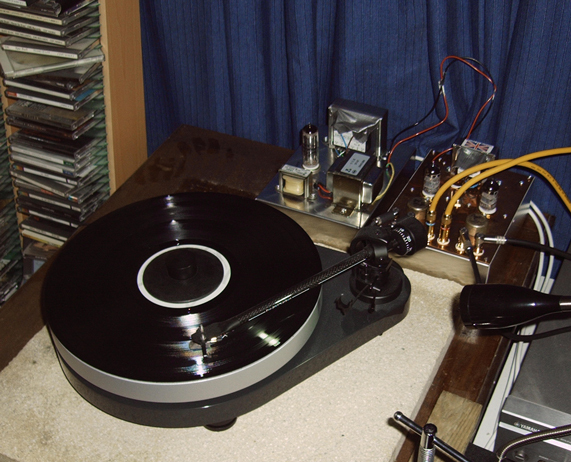 This is a picture of my latest valve project - a phono stage. The power supply has moved on since this picture was taken.